A family in California is seeking justice after a group of high school students brutally attacked their 16-year-old son at a taco restaurant. <p class="canvas-atom canvas-text Mb(1.0em) Mb(0)–sm Mt(0.8em)–sm" type="text" content="The incident occurred at Cotixan Mexican and Seafood restaurant, in Chula Vista, California, on Thursday afternoon, Chula Vista Police Department Lt. John Autolino told&nbsp;NBC San Diego, and the video was widely shared on social media over the weekend. The shocking footage shows a mob of teenage boys punching, kicking and stomping on the head of the 16-year-old victim.” data-reactid=”17″>The incident occurred at Cotixan Mexican and Seafood restaurant, in Chula Vista, California, on Thursday afternoon, Chula Vista Police Department Lt. John Autolino told NBC San Diego, and the video was widely shared on social media over the weekend. 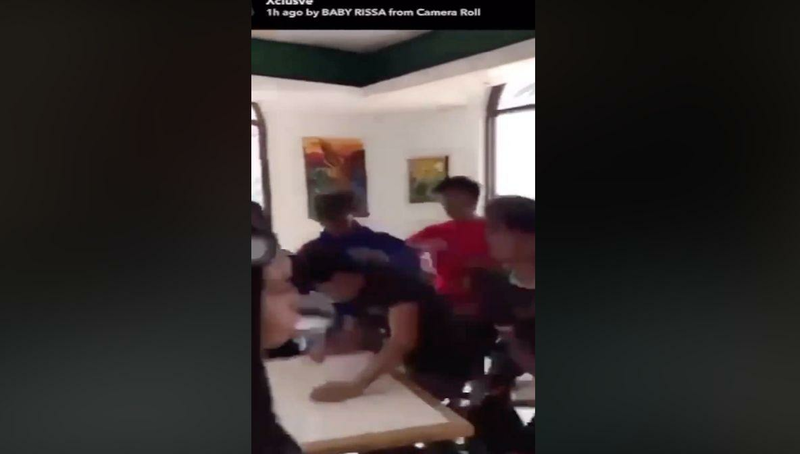 The shocking footage shows a mob of teenage boys punching, kicking and stomping on the head of the 16-year-old victim. The teen was left with only minor injuries from the incident. The Chula Vista Police Department (CVPD) said the boy suffered from a swollen face, including shoe impressions on his face, and his father said he has a fractured arm. According to Martin, his son was with his girlfriend at the restaurant waiting to be picked up by his mother when the group of teenage boys from a different high school entered the restaurant and attacked him, stealing both his phone and watch. His girlfriend recorded video of the incident. Martin said that his son was targeted because he defended one of his friends on social media who was being bullied, NBC San Diego reported. “I think that they were more of a gang or a mob that wanted to kill him,” Martin told Fox 5 San Diego. Marlon Espinosa, the owner of the restaurant, said that he was not present when the fight occurred. He told NBC San Diego that he reached out to the family to apologize and to ensure such an incident would never happen again. The restaurant owner said he plans to install a surveillance system and implement an anti-bullying response protocol for his employees. He also stated that his employees phoned the police and tried to intervene when they realized what was happening. Martin has filed a report with the police but said he feels discouraged in regards to the alleged perpetrators’ punishment. CVPD said that they are investigating the incident as an assault with a deadly weapon and a robbery. The police department did not immediately respond to Yahoo Lifestyle’s requests for comment. <p class="canvas-atom canvas-text Mb(1.0em) Mb(0)–sm Mt(0.8em)–sm" type="text" content="Follow us on Instagram, Facebook, and Twitter for nonstop inspiration delivered fresh to your feed, every day.” data-reactid=”33″>Follow us on Instagram, Facebook, and Twitter for nonstop inspiration delivered fresh to your feed, every day.